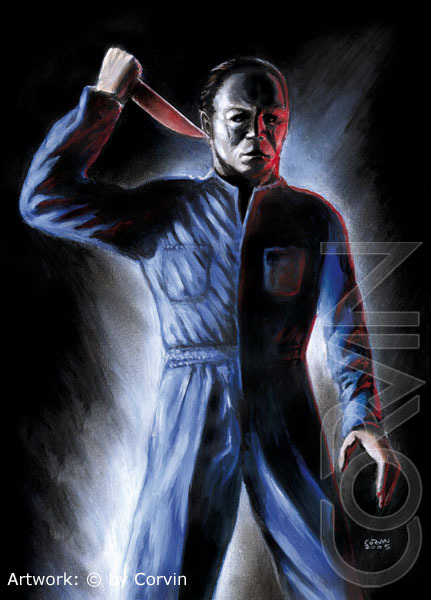 Michael Myers from the movie was played by several actors. therefore the painting is more dedicated to the chacater than to a single actor. 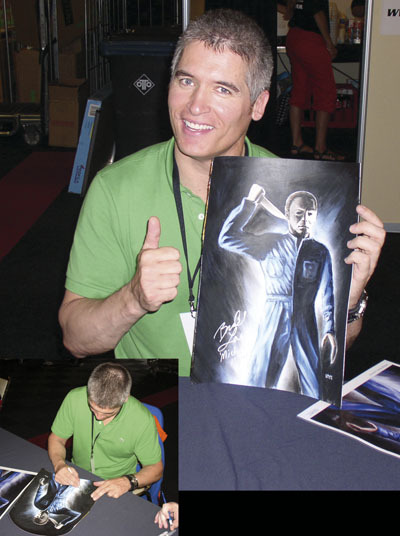 I met actor/stuntman Brad Loree, who played Myers in "H20".